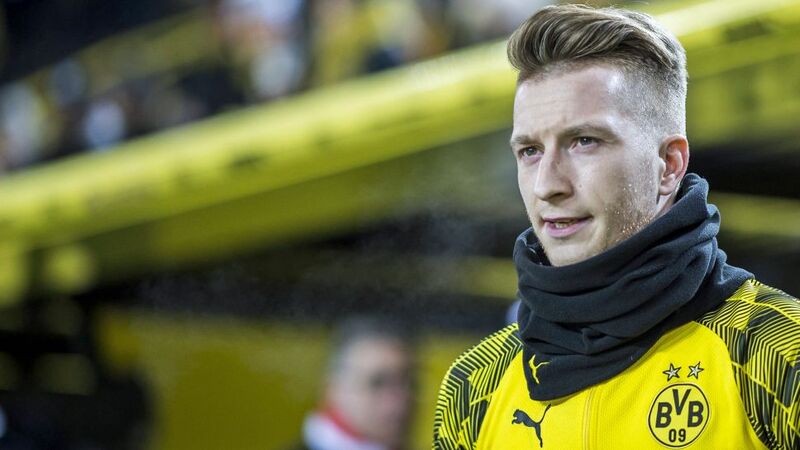 Bundesliga | Borussia Dortmund comeback king Marco Reus: "I'd be lying if I said I didn't really want to go to the World Cup"
Borussia Dortmund comeback king Marco Reus: "I'd be lying if I said I didn't really want to go to the World Cup"
Marco Reus is back: bigger, better, older, wiser. The Borussia Dortmund midfielder, 28, has scored two goals in five appearances since returning to action earlier this month following a 259-day stint in the treatment room – a mini career hiatus that he believes has changed him as a player and a person, for the better. I barely kicked a ball for seven months. The feeling on my comeback was hard to describe. Other than my shinbone injury in 2016, I'd never been out for so long. To be back in the team, the match preparation, the hotel, the coach trip to the stadium – they're the things I missed the most. I'm very grateful to have those again. At first, it was very difficult: when the season started, I was a long way off being able to think of team training because I started running again late in rehabilitation. The injury was complicated. And then you're there up in the stands at the games, emotionally quite distant, because you know full well that there's still another three-four months of rehab. But I always knew that the time would come when things would make a turn for the better. My family, girlfriend and friends also helped. I did new things. When you're 20-25, you only think about football. Every day you're thinking about how you can improve your game. Right now, I'm just happy to be healthy and to be able to enjoy my time on the pitch. You don't get this time back. It's a change in attitude that comes with age and stems from my experiences in recent years. You also have to think about other important things in life, other than football. Of course, every sportsman wants to be successful and to win, but that's not life. For me, it’s about feeling free and doing what you enjoy. I think that's what I've learned most from being out. I'd be lying if I said that I didn't think about the World Cup and really want to be there. But I've never been a person who plans ahead with three or four concrete goals. It's all in the back of my head because it's important to be focussed. I won't make a secret of the fact it's a big goal of mine to be there, though. I know I've got a good chance, if I'm playing well. There are a lot of extremely good nations involved. I think the quality is better than in 2014. I'm expecting games to be tighter because a lot of teams have improved and changed their game. It'll come down to the minor details, but everyone knows Germany are always a force to be reckoned with in tournament football. We'll have to be at 100 per cent to repeat the success of 2014, though.